We are so proud to announce that our Studio Director, Stuart Mansfield (ABIPP), has received the BIPP Fellowship (FBIPP) Qualification for his portfolio ‘Growing Up’. FBIPP is attained for distinguished and exceptional ability and creativity. The British Institute of Professional Photography (BIPP) Qualifications provide an internationally recognised benchmark in professional photography. To successfully achieve a qualification, candidates submit a portfolio of images and accompanying supporting evidence to be assessed against exacting standards. Throughout the year, BIPP Assessors nominate portfolios that they feel are exceptional. These portfolios are then re-assessed for consideration for the annual Qualification Awards and presented every year at the Professional Photography Awards. Here is a sneak peak of Stuart’s portfolio ‘Growing Up’ for which he received his FBIPP qualification. This is what Stuart had to say: ‘I feel very proud to have gained my Fellowship. Over the last two years I have been focused on developing my photography and I feel my Fellowship project reflects the hard work I’ve invested into my images. It is a huge honour to gain this level of recognition from fellow professional photographers. I am very excited about developing my work further and planning my next project. Stuart is also representing the UK in the World Photographic Cup 2018. Watch this space! Earlier this year, Stuart achieved title of BIPP Photographer of the Year 2017. 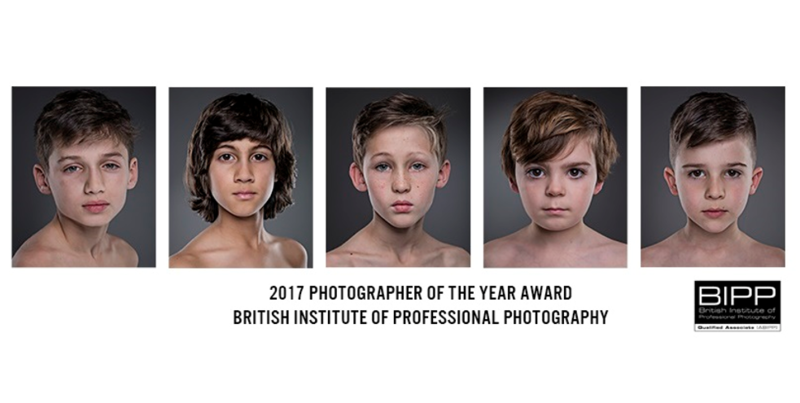 The BIPP Photographer of the Year Award is regarded as one of the highest in photography and truly is a remarkable achievement. Posted in Awards | BIPP and tagged 2017 awards | awards | bipp | FIPP | photography awards.